1. Mix together the dry ingredients. Using either a food processor or a pastry cutter, cut butter and shortening into the dry ingredients. 2. Once it resembles crumbles, slowly add the ice cold water. It may not take all of the water. Once it is sticking together, it's done! 3. Form it into two discs, flattened out until they're about 1" thick. Wrap each one in plastic wrap and refrigerate it for at least 2 hours. 1. 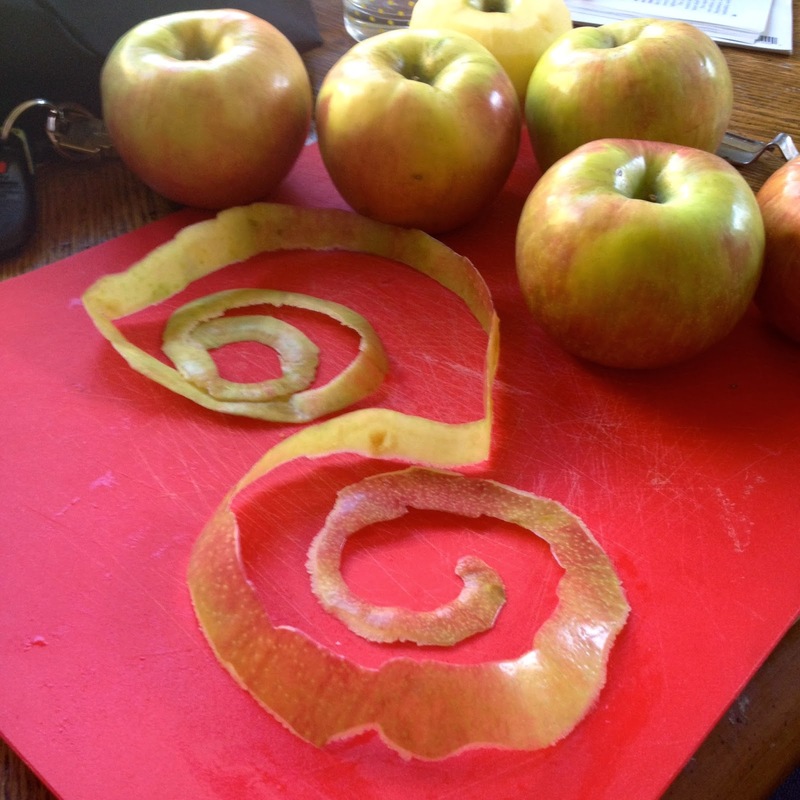 In a large pot over medium-low heat, stir together apples, sugars, cinnamon, salt, nutmeg, and cornstarch. Cook, covered, for 20 minutes. 2. After about 20 minutes, take the top off, reduce heat to medium-low, and cook for 7-8 more minutes. Remove from heat, stir in lemon juice, and let it cool for 30 minutes. 4. 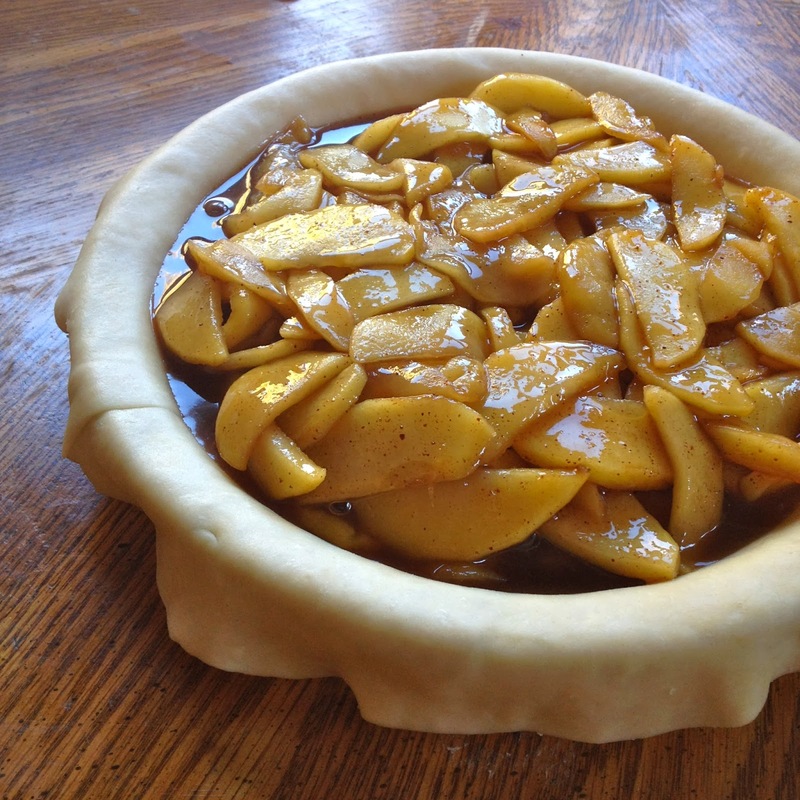 While the apples are cooling, roll out one of your pie crust dough discs on a lightly floured surface. Roll it out until it's about 13" in diameter. 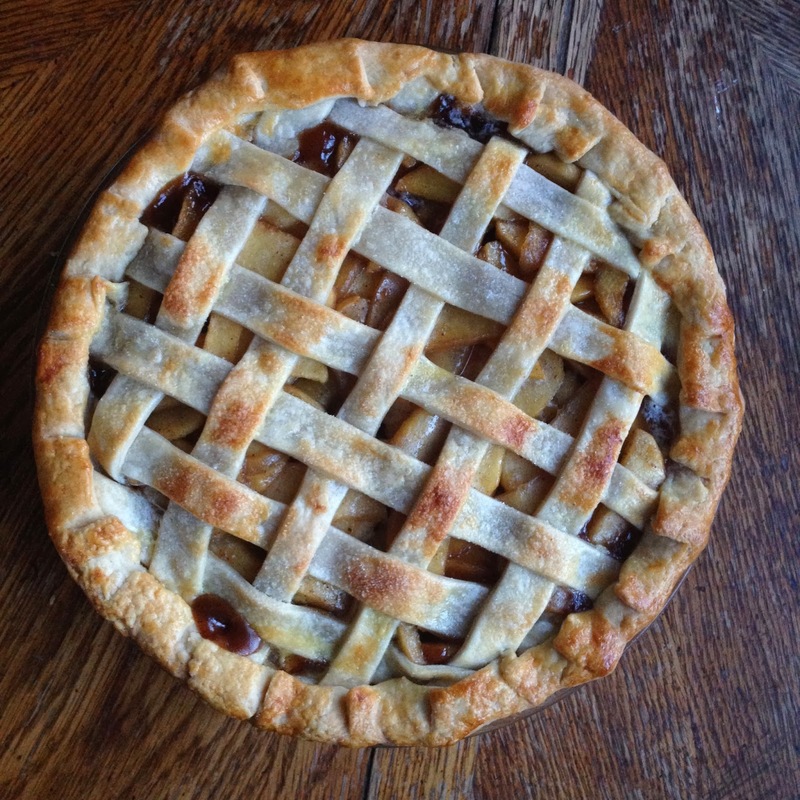 Using the rolling pin, transfer the dough to your pie pan. Trim the edges, leaving at least 3/4" overhang around the entire edge. 5. Roll out your other pie crust dough disc until it's about 12" in diameter. Cut it into 3/4" strips with a pizza cutter. 6. 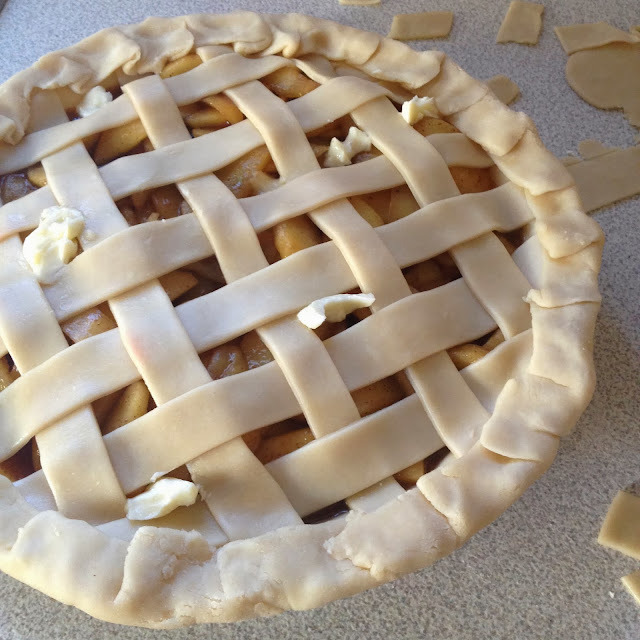 Pour your apple filling into the bottom pie crust. Dot with cold butter. Start with the middle strips to make the lattice. I used this tutorial to make my lattice. Press the outside overhang onto the edge. 7. Beat the egg and milk. Brush it atop the dough on top. Sprinkle with sugar. 8. Bake at 350 degrees fahrenheit for about 35-40 minutes, or until golden on top.